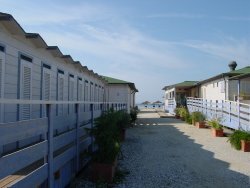 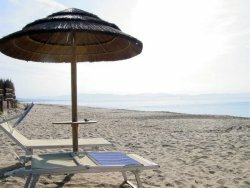 LA SPIAGGIA DI CARLAPPIANO CON I BAGNI PRIVATI, LE CABINE I PUNTI RISTORO E LE SPIAGGE, VERSO IL GOLFO DI FOLLONICA E VERSO PIOMBINO. 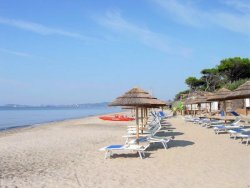 The Carlappiano beach. 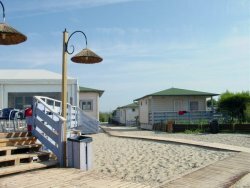 There is private beach and free beach, restaurant and bar.